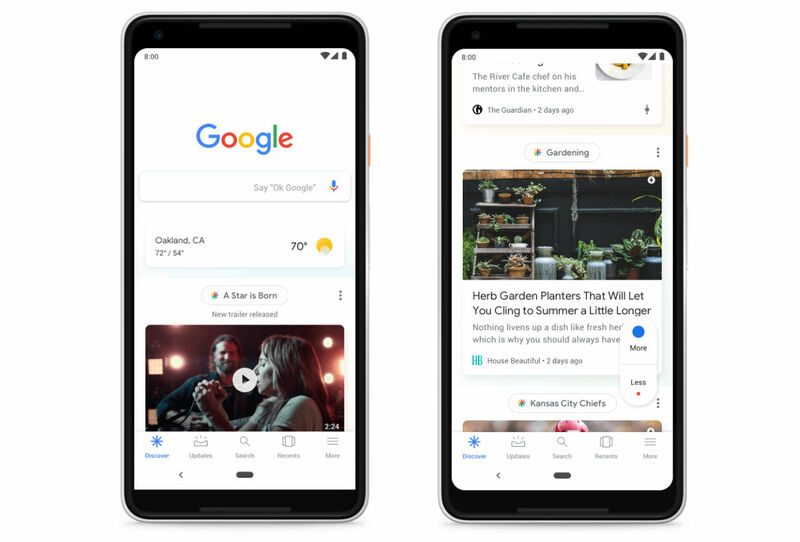 Google Now was awesome, but got replaced by what’s known as Google Feed or News Feed. We haven’t been fans of it since that major change, but this week, Google is changing it yet again with a new name, new features, and a new look. On mobile, this feed will now be called Discover. It’s the same basic experience with various spotlighted articles related to what interests you and things you follow, but Google thinks that a list of new features will have you enjoying it very much. For what’s new, Google lists a change to the articles and videos you’ll encounter. As an example, let’s say you’re planning a trip. Because of this, Discover will highlight places to eat and things to do in that area, or even share a related travel article that was published months ago that is now relevant to your situation. Whether you find this change helpful or not, you’ll be able to better manage what you see with new controls. On everything posted in Discover, you’ll see a toggle that lets you choose to see more or less of any given topic. This is very similar to what’s already available, but it looks different. Also new is support for multiple languages. Google uses the example of food recipes in Spanish, while sports will be in English. Should you want results in multiple languages, you’ll select that from within the settings menu. Google says you can expect these changes rolling out over the next few weeks.